selection of music festivals in the UK. Among that selection is one of the smaller, but by no means lower quality, Kendall Calling Festival. It’s a music festival that is held every year around the end of July and beginning of August. The festival takes place in the idyllic location of Lowther Deer Park in the Lake District. It’s held from a Thursday to a Sunday making it one of the longer festivals around. The location is so great you might even consider staying for a little longer than the festival to really take it all in. The festival features a large stage, a dance tent, and a number of smaller stages allowing festival goers to see top stars in the music industry as well as up and coming acts. See the best stars of the future before they’re famous and enjoy the people already at the top. 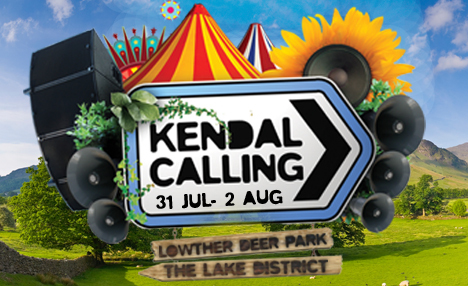 The festival also features more than just music; comedy, spoken word, and dj’s are also at the festival meaning there really is something for everyone at the Kendall Calling festival. The location and length of the festival means that most people who go there end up camping on the grounds or nearby, so they can come and go to the festival as they please. If you’re planning on staying the full length of the festival then you do need to go camping. That means a lot of stress as you’ll be packing a car up and probably spending a lot of money in parking fees. It’s not cheap to leave your car at a festival and it’s also not the safest thing in the world. Leaving your car in a field like that opens it up to a lot of dangers. Booking a minibus through ST Minibus Manchester means that you don’t need to worry about transport or parking costs. Travelling to and from a festival can be problematic. The traffic alone can be a nightmare. Lots of people going to and from a specific place means a lot of traffic. It’s quite a hassle and it’s something that’s best left to us. Having room for all the camping equipment and passengers can be annoying as well. We have eight seater extra large taxis that have more than enough room for your friends and equipment. We’ll pick you up, get anyone else you’re taking, and drop you off at the camping grounds in time for the festival. When everything is said and done we’ll pick you up too and get you home safe and sound. Our drivers are professional, friendly, and courteous. Don’t let travel complications stop you from having the time of your life at a festival like the Kendall Calling festival, as we can take you to and from either. Book a minibus either through our online form, or giving us a call directly.